Backyard in Forestville is one of the many eateries participating in Sonoma County Restaurant Week. It’s one of favorite pastimes year-round: eating and drinking, and celebrating excellent food and wine. But in the spring, Sonoma County is even more special for such luxury, since we grow so many gorgeous seasonal veggies, and welcome so many pasture-raised cattle and sheep. So get your gourmet in groove, and join us at our spring table – you’ll discover how Life Opens Up in our culinary world. Wine Country is best known for its California cuisine, but really, our chefs look across the globe for inspiration. The common theme is using the best local ingredients and a commitment to farm-to-table cooking, yet you’ll find themes and recipes saluting Japanese, French, classic American, Italian, German, Peruvian, Puerto Rican, Latin American, Mexican, Vietnamese, Chinese, Greek and Thai and so much more. The 10th Annual Sonoma County Restaurant Week is a wonderful way to get a taste of it all. It’s feasting made easier with delicious discounts offered by more than 130 eateries presenting specially priced three-course dinners for $19, $29, or $39, plus two-course lunches for $10 or $15. And new this year, participating bakeries, coffee shops, and pie shops are offering the Pastry Perk Special, for special discounts on a variety of items. You might enjoy a satisfying $10 lunch at Brew Coffee and Beer in Santa Rosa, bringing a choice of vegan wrap or turkey pesto panino with chips or salad, plus fingerling potatoes or Brussels sprouts. Or, you may want to go fancy, and indulge in a $39 dinner at the famous girl & the fig. That delivers crispy Brussels sprouts and kale salad with shaved Vella cheese and herb croutons in creamy pepper vinaigrette; duck sugo with baby vegetables and creamy polenta; and butterscotch panna cotta with chocolate croutons, Italian meringue and candied cocoa nibs. Plan your dining adventures through the week as easily as moving a mouse and clicking. Visit sonomacounty.com/restaurant-week for menu previews and to make reservations. 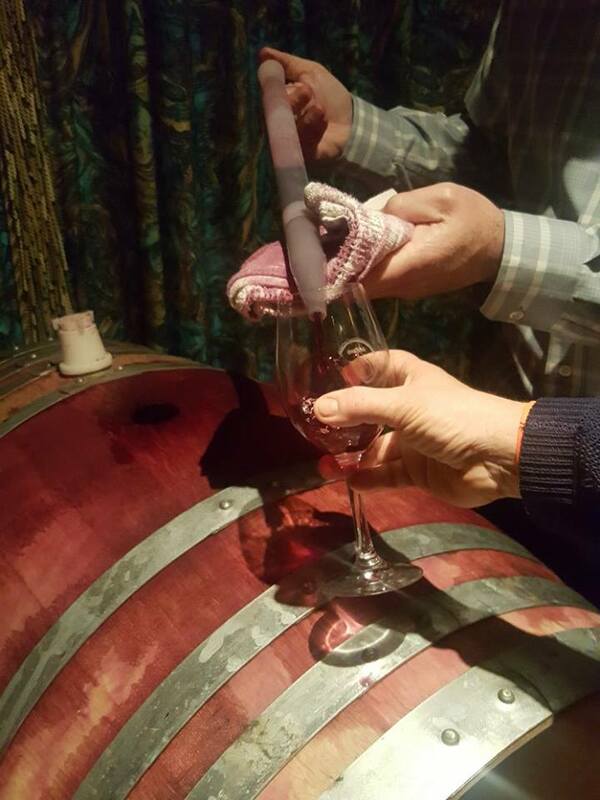 Northern Sonoma County boasts more than 100 wineries, many of which come together each year to throw the spectacular Barrel Tasting gatherings over two beautiful spring weekends. 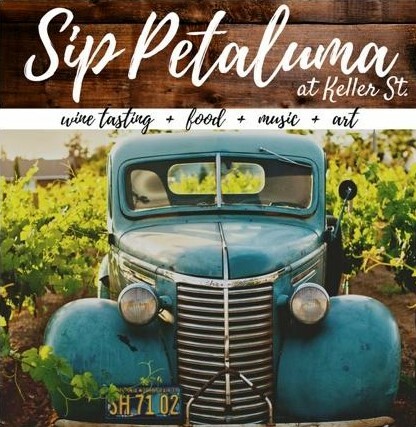 From 11 a.m. to 4 p.m. each day, it’s an open house party where you can sample wines from the barrel, talk to the winemakers, and explore the beautiful Alexander, Dry Creek and Russian River Valleys. Part of the fun is your chance to purchase "futures." That means you taste the barrel samples, find your favorites, and purchase wine now, often at a discount. When the wine is finished and bottled, typically 12-18 months later, you get the first shipments. Many wines are so limited that buying futures is your only chance to get them. While there’s plenty of fun to be had, this is an event for serious wine lovers, and it’s all about the wine, evaluating it and learning more about its distinctive styles. You’re encouraged to pack your own picnic for nibbling throughout the day, and prime your palate to explore many extraordinary wines you might never be able to find otherwise. Six select wineries host casual, intimate parties from 5 to 7 p.m., where you can enjoy both barrel and current vintage tastings along with appetizers and meeting winemakers. Choose from A. Rafanelli Winery, Francis Ford Coppola Winery or Limerick Lane Cellars (March 1), or Gary Farrell Winery, Seghesio Family Vineyards or Thomas George Estates (March 8). Tickets are $90; limited to 30 guests per winery. 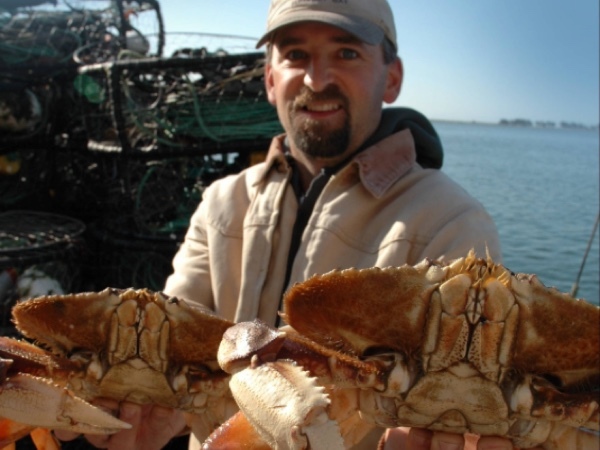 Put on your bib, and take a seat at the Tides Wharf Restaurant for a delicious feast of chilled Dungeness crab with cocktail sauce, drawn butter, Tides’ mustard sauce, clam chowder, pasta, green salad, and French bread. Reservations requested; $59.95 per person. Be sure to purchase tickets in advance (no door sales) for this premiere event at Keller Street CoWork. The day features tastings from a dozen wineries, nibbles from Anaviv Catering & Events, live music by Clay Bell, and works from local artists. Tickets are a bargain at $20. Thousands of cheese lovers converge here each year to learn how to taste, buy, serve, and perhaps even make distinctive artisan cheeses, as taught directly from the award-winning experts. 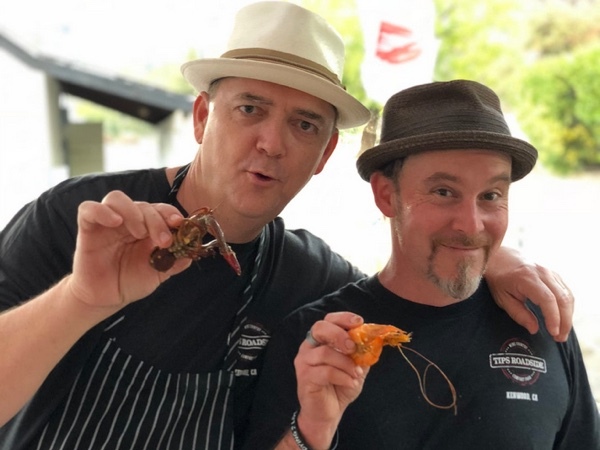 The Festival brings together local artisan cheesemakers, chefs, brewers, master sommeliers and wineries, showcasing nationally recognized producers, too. 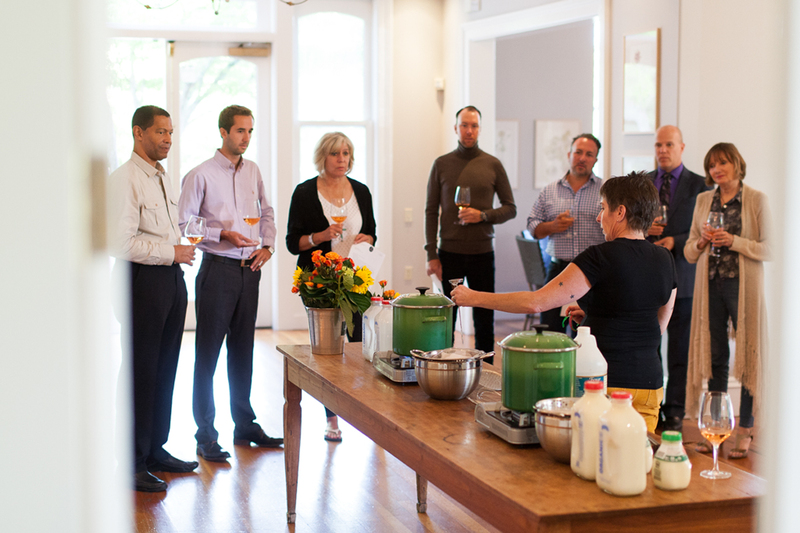 Tours of creameries and picnics remain a highlight of the weekend, selling out quickly. But other events are very exciting, as well, such as the Cheese, Bites & Booze! party at the Jackson Family Wines Hangar at Sonoma Jet Center, and the Bubbles & Brunch party at Saralee & Richard's Barn at the Sonoma County Fairgrounds. Whatever you choose, you can eat cheese, glorious cheese, in hundreds of varieties served by the artisan producers themselves. 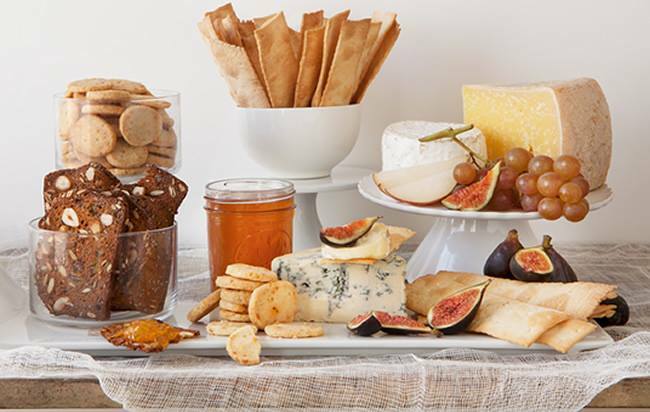 Join The Epicurean Connection cheese guru Sheana Davis to learn how make fresh Chèvre, Fromage Blanc, Créme Fraiche and more. Tips Roadside, the cozy, artsy Kenwood roadhouse gets mouths watering with its all-you-can-eat crawfish, peel-and-eat shrimp, andouille sausage, corn-on-the-cob, potatoes and all the fixings, plus beignets. $39 per person.